Argentina was four minutes away from being out the World Cup when Marcos Rojo scored a late goal against Nigeria that sent the score to 2-1 in Argentina’s favor. Suddenly, the team many had given up on was on to the round 16. Messi wasn’t the only one who suffered. Here are a few images from those who died a thousand deaths during the match, and those who celebrated afterward. Ricardo Montaner, a devout Christian, posted a football field labeled with the “Our Father” prayer. It worked! 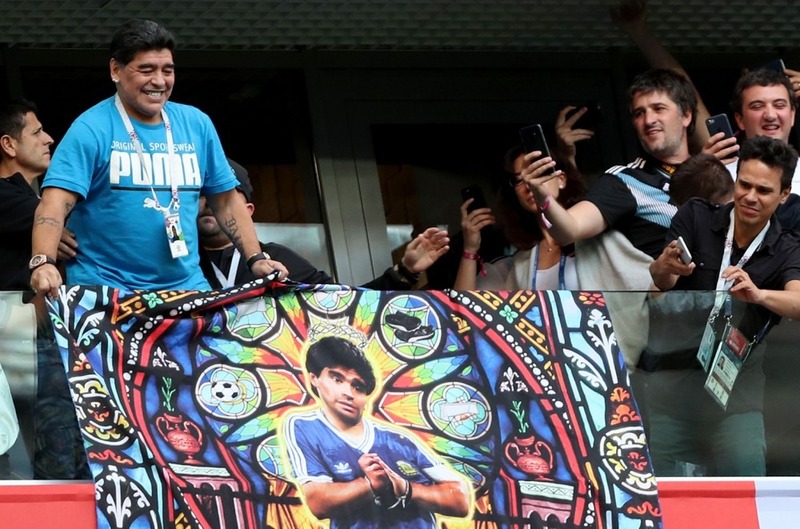 You only had to watch retired Argentinean player Diego Maradona to know what was unfolding.